Full bathroom remodeling services floor to ceiling. We also specialize in kitchen backsplashes! Let our design team help with your remodel today! 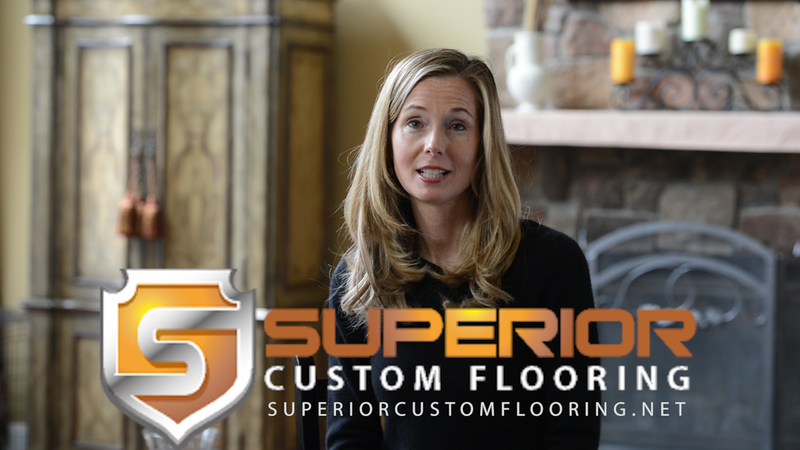 Superior Custom Flooring is focused on providing high-quality service and customer satisfaction. We will do everything we can to exceed your expectations. We supply and install all industry leading brands without the overhead of big box stores. Solid, Hardwood, Hand Scraped Hardwood, Exotic Hardwood, Laminate, Vinyl Plank, Luxury Vinyl and ceramic tile. Your browser does not support the video tag, you should consider upgrading to a modern browser. We understand that flooring is a major expense, and we take that responsibility seriously. Our job is to ensure that the investment you make achieves the most suitable, cost-effective result. We work hard to find superior products that are beautiful, durable, and offer a high return on your investment. Start your home renovation from the floor up. Owner Zac Mento has personal experience in all aspects of the flooring industry. From sanding, refinishing and installation to sales and management, he has a perspective that is invaluable to his customers. Zac participates in every project to ensure that all jobs are completed to the highest standards. He is friendly, honest and meticulous, and makes it his mission to find the most appropriate and economical solution to his customers’ flooring needs.